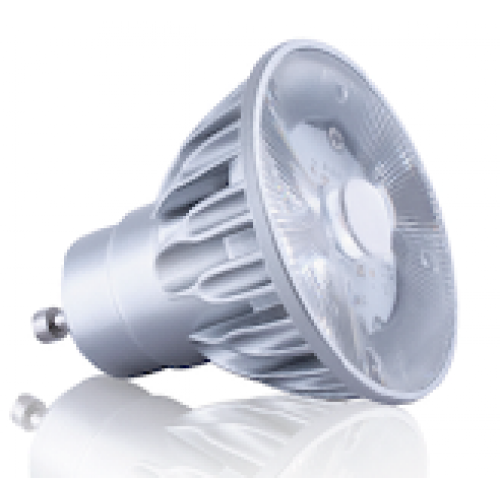 Point source LED with the crisp single shadow of a halogen lamp. 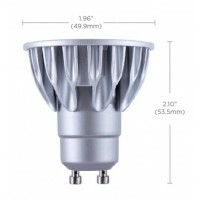 Dimmable with a wide range of dimmers. Standard IEC compliant GU10 form factor with flat front. GaN on GaN™ technology enabling bright uniform light. VP₃ technology for perfect consistent colour rendering and natural whites. 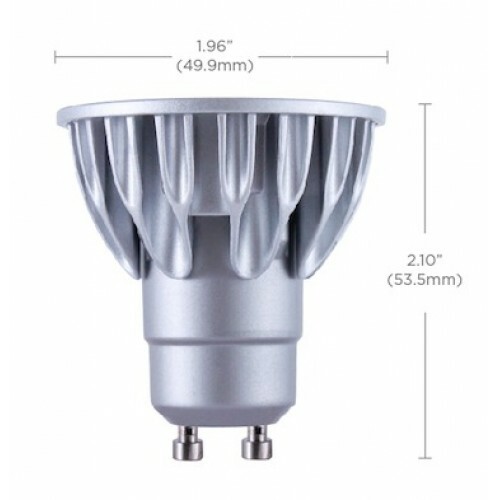 Soraa GU10 LED Lamp Brilliant85 CRI7.5WSoraa GU10 FeaturesPoint source LED with the crisp single sha..
Cap Base: GU10Nominal lifetime: 40,000 hourSwitching Cycle: 50,000x Colour rendering index 97(n..
Voltage:12Wattage:5Conventional Wattage Equivalent: 50WBase: GU5.3Life (Hours): 40000..